However your warehouse operates, you need the peace of mind of knowing you have the best truck in terms of suitability and quality of build to optimise throughput. 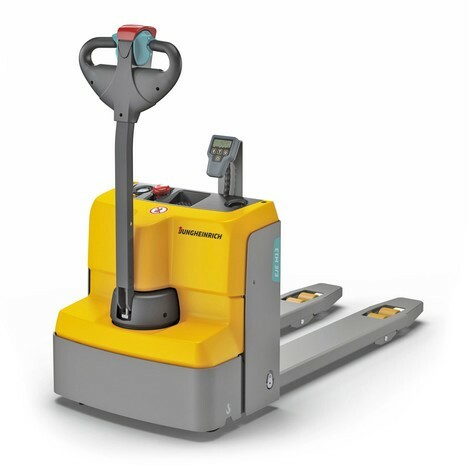 With a wealth of history and experience in warehouse logistics, Jungheinrich has developed a comprehensive range of electric pallet trucks designed to optimise throughput in every warehouse scenario. So whatever your demands, there will be a truck that’s perfectly suited to the task. 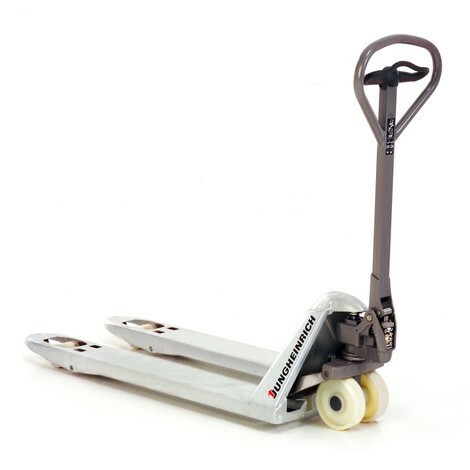 Whether its walk along, ride-on or sit-on, our range of pallet trucks are packed with features to make operating them easy and stress-free. Features such as ergonomic tillers, which in some cases offer operation with either hand, ensure flexible and comfortable working and help to reduce the strain on the operator. You can also choose from a number of additional equipment options and performance features, ranging from on-board chargers to crawl speed buttons and traction aids. 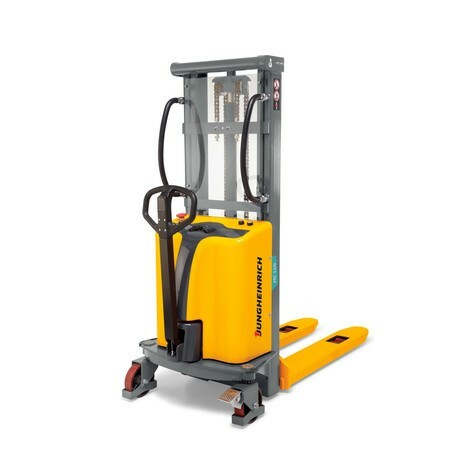 Which Jungheinrich pallet truck will best suit my operation? 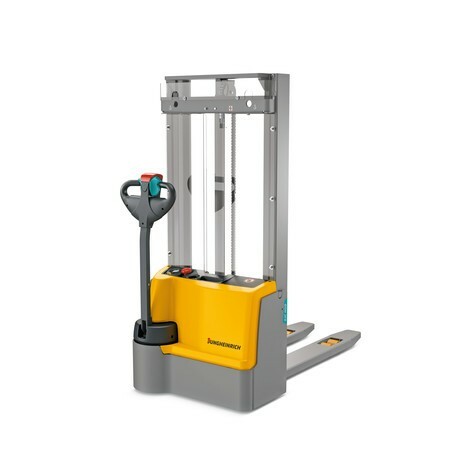 How demanding are your warehouse operations? How frequently are you using the truck? 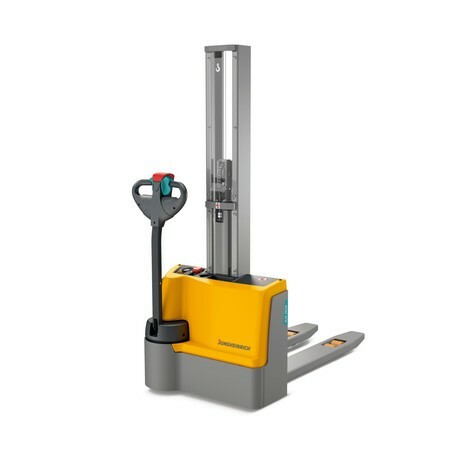 Are you travelling short, medium or long distances within the warehouse? 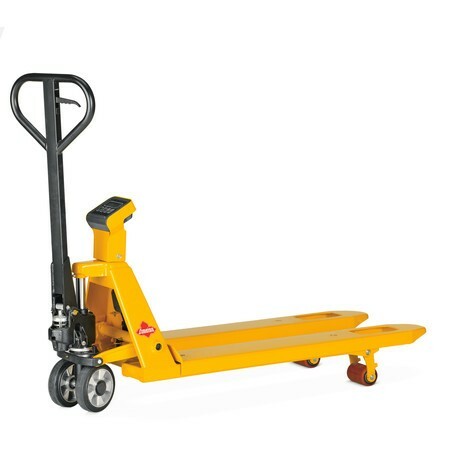 Do you require a truck that can both move and stack goods within your warehouse? What about Lithium-Ion or lead acid battery options? 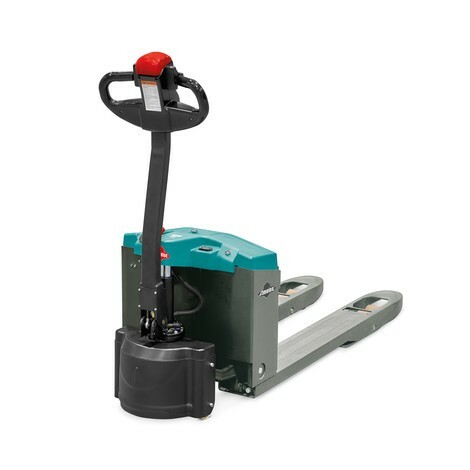 Electric pedestrian pallet trucks are easy to handle, extremely manoeuvrable and safe in every way. Energy consumption reduced by up to 25%. 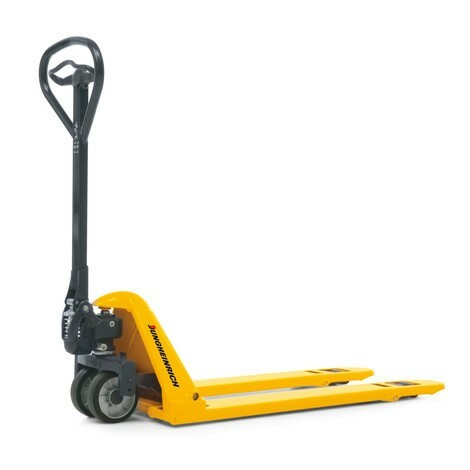 Perfect for transport over medium distances. Extremely robust. Reliable. Safe. Ideally suited to your requirements thanks to innovative options. 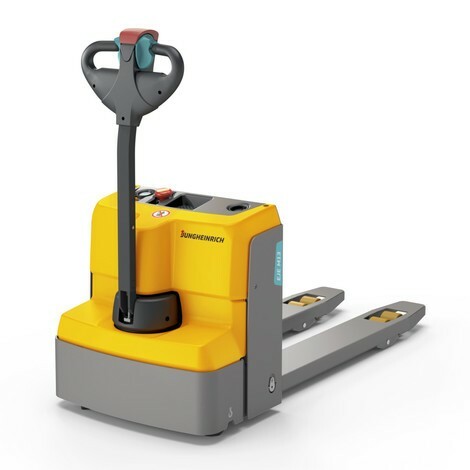 For horizontal transport of loads up to 2.0 t, there is nothing better than the ESE electric pallet trucks — the Jungheinrich ergonomic sideways seated truck. Maximum performance even for inexperienced operators. With numerous truck options for every purpose and every warehouse environment. 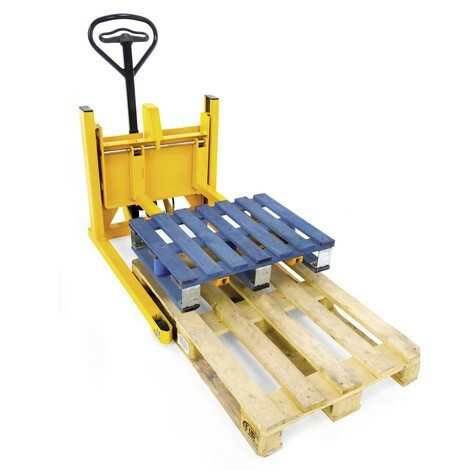 The pedestrian controlled trucks with hinged or fixed stand-on platform combine the manoeuvrability of a pedestrian stacker with the comfort of a ride-on truck. 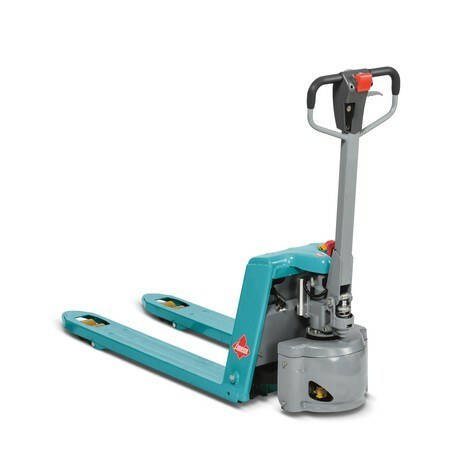 Electric sideways seated stackers offer optimum driving and acceleration performance. 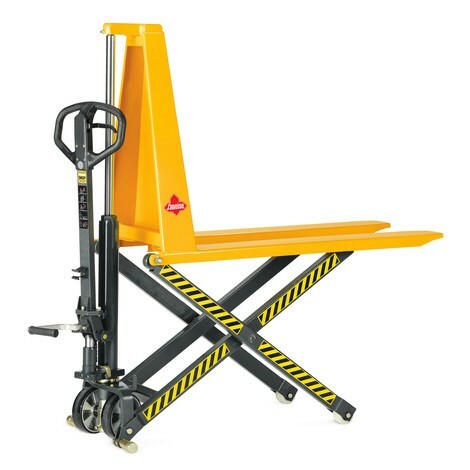 Sideways seating position provides the operator with optimum visibility. lasting performance, fast charging times and zero maintenance. Choose the full li-ion power with our 6-month satisfaction guarantee as well as our 5-year guarantee on your li-ion battery. 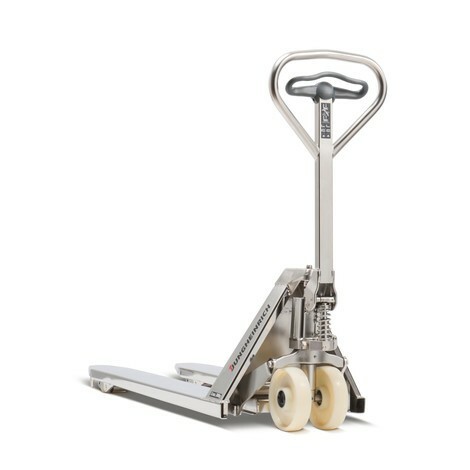 Looking for an off the shelf pallet truck or something for lighter use? 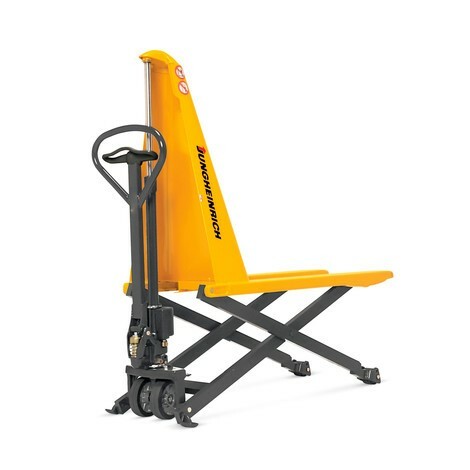 Jungheinrich's Profishop has the solution, all available to buy online today! 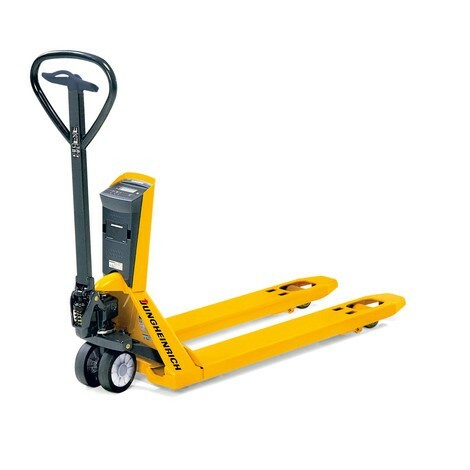 If you only need a pallet truck occasionally, our range of high quality manual trucks are a perfect solution. Easily purchased through our online shop. For further information and details about our customised purchase options, please get in touch. 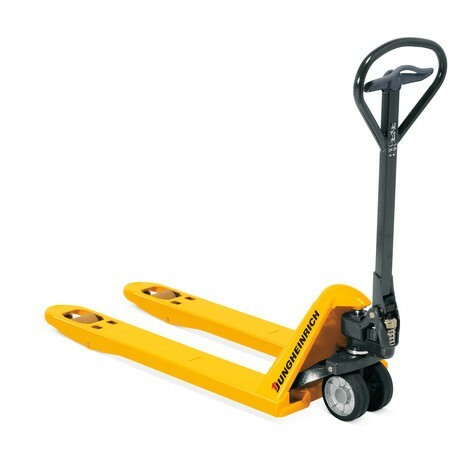 Talk to our team about pallet trucks today!